On a more technical note, thought I might share what we're doing to keep an eye on our babies during the day (fun stuff). A few years ago I bought my first Foscam internet camera. These are cool and give you the ability to look thru a video camera from anywhere there is internet. Check out Foscam.us There is also another company that makes a great iPhone or iMac based viewer showing multiple windows. Now it is very cool that I can pan&tilt these cameras too. There are about $100 each. 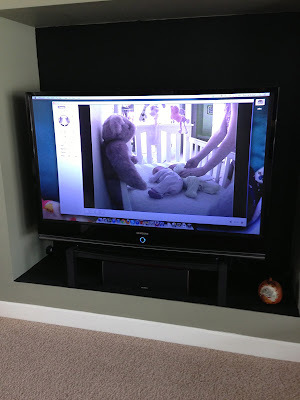 In the twins room there is a camera on each crib so we have an eagle's eye view into their crib time. Just lately Apple started doing something called mirroring from the mac so we can put these camera views out on the big screen. Pretty dang cool... Now I can see them while I'm at work and Julija is home. How cool is that? Oh, BTW no one else can see these cameras. They are accessible via the Internet, but not publicly available. Ivf Sydney City is always ready to help you. Our professional doctors and staff will provide you best services. Home Lifestyle has a wide range of One Stop Home Essentials products suited for the Active, Busy, Mobile and City Living People, bringing the Quality of Life to a different level.